My interview for DARE DUO‘s travel episode will finally air on Saturday (August 29), 8:10 P.M. QTV-11. It will be part of a segment on people who have dared to travel the Philippines. Hope you guys can catch it on the long weekend! 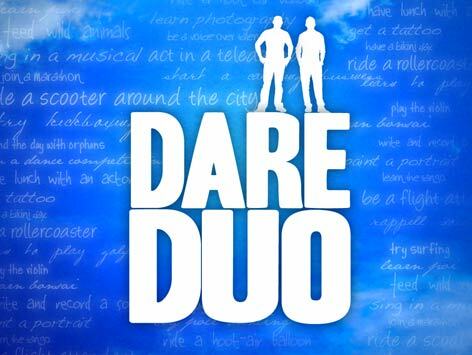 DARE DUO offers viewers out there a chance to fulfill their dreams together with two of the hottest, craziest and most-admired hunks in town – Marc Nelson and Rovilson Fernandez. Together, these two buddies will help and accompany the dare senders get their lists done. DARE DUO airs every Saturday at 8:10 p.m. on Q. UPDATED THIS POST! The episode was moved to August 29. Hope you guys can catch this tomorrow night! I will miss it, since I will be out of town 🙁 Happy long weekend!